The director of emergency medical services in Cincinnati asked for more money Thursday, with growing concern about the spike in costs to treat heroin overdoses around town. Cincinnati paramedics said the region’s heroin epidemic is worsening by the month. Heroin has become a serious health and budget problem the city of Cincinnati, as paramedics said the drug used to counteract a heroin overdose is expensive. They said the demand for the drug is on the rise, which drives up expenses for EMS. 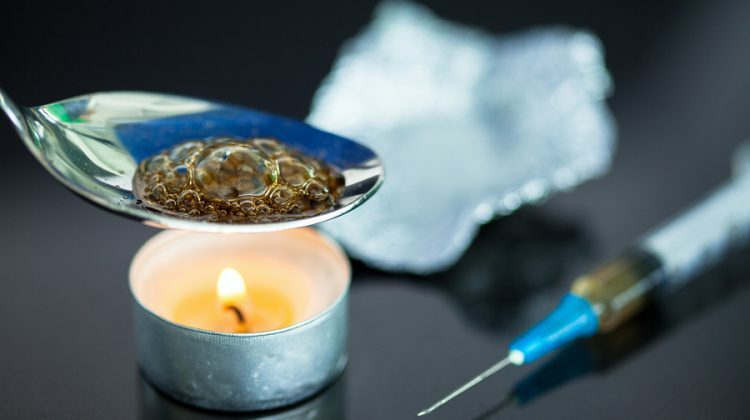 In the last two weeks, the Hamilton Fire Department has responded to 18 drug overdose calls and five heroin overdoses on Tuesday alone. The stories flow nonstop, just like heroin into our nation. But who is to blame for this growing problem? Many of our leaders want us to believe that we should be blaming the users and dealers. That is of course misplaced. People don’t just go out and say “hey, I’m bored, maybe I’ll try some heroin” and the dealers would be nonexistent if it wasn’t for an increasing demand in their product. An opioid is any chemical that resembles morphine or other opiates in its pharmacological effects. Opioids work by binding to opioid receptors, which are found principally in the central and peripheral nervous system and the gastrointestinal tract. The receptors in these organ systems mediate the beneficial effects as well as the psychoactive and the side effects of opioids. That chemical alteration in the central nervous system is what creates the addiction, but the human body is a fighting machine and realizes that chemical change, so it fights back by building up a tolerance. That means after time the same dosage becomes less effective, until it doesn’t work at all. Once that happens, you need something stronger. The U.S. accounts for less than 5% of the world’s population, yet consumes about 80% of the world’s opioid supply. But what accounts for that alarming statistic? Are Americans just naturally weaker humans, unable to live with any pain? Not at all. Instead our country is plagued with a unique healthcare system, in which the almighty dollar trumps actual patient care and public safety. Have you ever sat in the waiting room at a doctor’s office and seen some well dressed individual coming in, looking like they just fell off the cover of GQ magazine? They aren’t there to get a checkup, but rather to perform their job as America’s leading drug pusher. These well polished individuals are pharmacy reps, selling their products to the doctors. Their looks aren’t the only selling point either. Instead they also employ a laundry list of goodies for the doctor. Things like posters, samples, pens, nice lunches and other tactics you might see at a timeshare presentation. Big pharma makes big money off of selling their products, including painkillers. Then they also make big money off selling the cures for addictions to their own products. Talk about greed taken to a whole new level! Think back to that 80% statistic. Why is it that we are the only country facing this problem? It’s not like heroin is somehow limited by import regulations in other countries, yet other countries aren’t facing this epidemic. Instead the problem lies in the fact that we have this unique healthcare system driven by profits. What a better scheme than getting people addicted to your product, then selling the cure for that addiction? And who is it that has perpetuated this vicious cycle? That would be the GOP. They have constantly told us that every other healthcare system in the world is the equivalent to medieval remedies. They want you to believe if you go to Canada or the UK and seek medical attention, you will be met with a treatment of amputation and leeches. They have continually filled the heads of the American people with lies so that we can keep the mighty dollar flowing. All the other countries, which heroin would actually be easier to get into, don’t suffer the same epidemic we do because their people aren’t being pushed the gateway drugs legally. Instead, these countries realize that these problems will cost them tons of money, so they tell people to live with their minor aches and pains. But we are lead by people with an inability to look beyond the next move in the life chess board. They don’t see ahead, where people get addicted to pain killers, then resort to illegal drugs, leading to us having to pay for incarceration, emergency treatment, or even auto accidents caused by people under the influence of heroin, something else on a dramatic rise. If we want to cure the heroin epidemic, then we need to start with fixing our broken healthcare system, and the biggest fix for that is removing the profit factor. If we instead had a single payer system, where the government would really be paying the cost of addiction, then we would quickly see the epidemic start to subside. Is Uncle Sam going to pay for you because your back aches, or are they going to advise you to live with it, maybe followed by pain therapy? Heroin is already a government problem, but by making it a bigger burden on Uncle Sam, then we can start addressing this issue taking countless lives. The users aren’t to blame for what is happening, it’s our failed medical system perpetuated by greedy corporations and politicians. Maybe we can make this a key issue in 2016?